When I bought my MacBook last year, my intention was to use it to Triple boot either Mac OSX, Windows or Linux. As you might know, this is only possible on a Mac system, because, no other hardware can run Mac OSX except a Mac. This is how I managed to get the three operating systems onto one machine.The three operating systems I wanted were; Mac OSX 10.6 (Snow Leopard), Windows 7 and Ubuntu 9.10 (Karmic Koala). (3) Ubuntu 9.10 (Karmic Koala) iso image burnt onto a CD-ROM. I will tell you later on how to download and burn the iso image onto a CD-ROM. First things first. You need Bootcamp to install Windows. The guide on Apple's website gives an exhaustive account on how to use Bootcamp to install Windows Vista. You could use the same guide to install Windows 7. The website Simple Help also gives a decent walkthrough on how to install Windows 7 using Bootcamp. So I will skip this part. A thing to note is the installation will go through a couple of restarts. Do not press any key during restarts. Once the installation is completed, eject the Windows 7 installation DVD. On some occasions, you may not be able to eject the Windows 7 installation DVD. Do not panic, just restart and press Alt key (Option key) and enter into Mac OSX to eject the DVD. Alternatively, press the eject key during start-up to eject the DVD. You now have a Mac with a Dual boot option. For this you need to login to Mac OSX and follow these Steps. You might have noticed that the size of my Windows 7 partition is only 40 GB. I don't use Windows 7 that often on my MacBook, hence I chose to limit it to 40 GB. 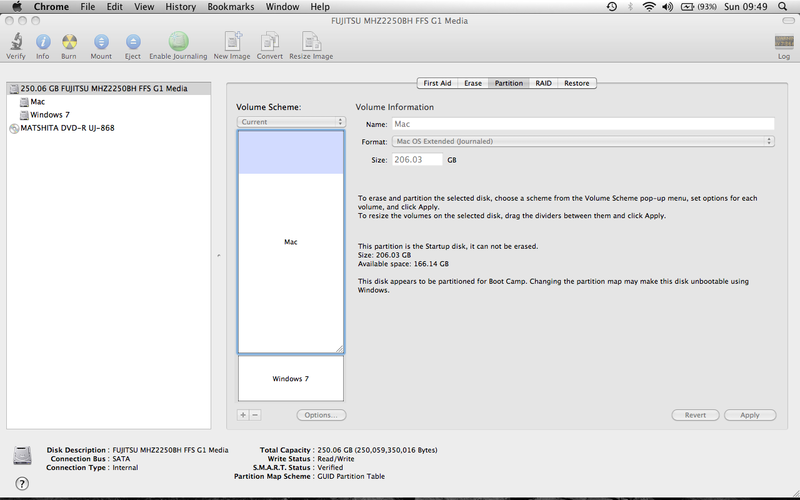 Step 2: Press on the Mac volume and Go to the Partition tab and adjust its size. I chose to reduce it by approximately 40 GB. 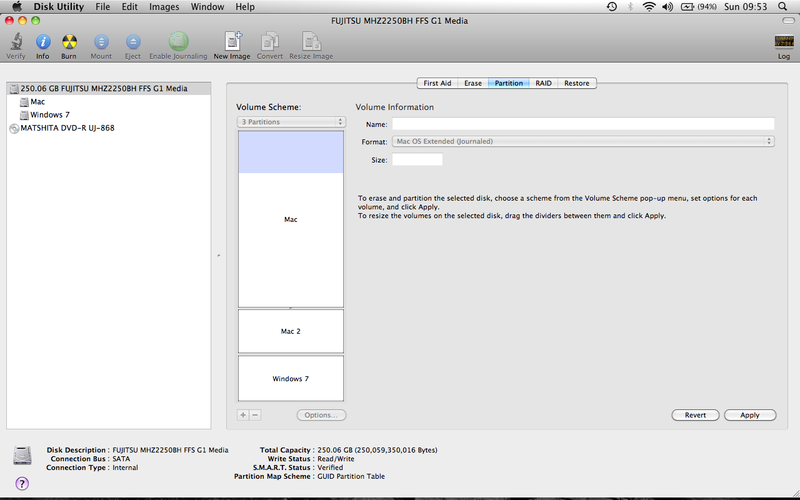 Step 3: Press Apply and you will find the new Partition named Mac 2. 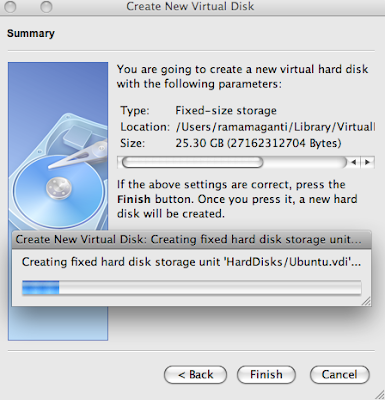 Step 4: Rename the partition as Ubuntu and set the format type to FAT32 and press Apply. 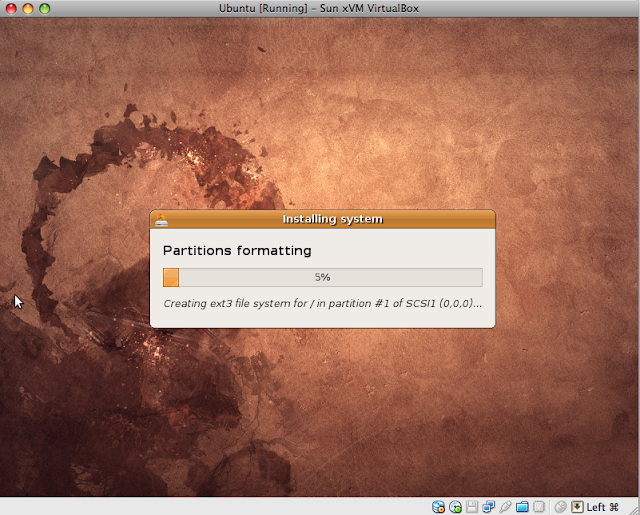 You will now have a new partition Ubuntu formatted to FAT32 file system. 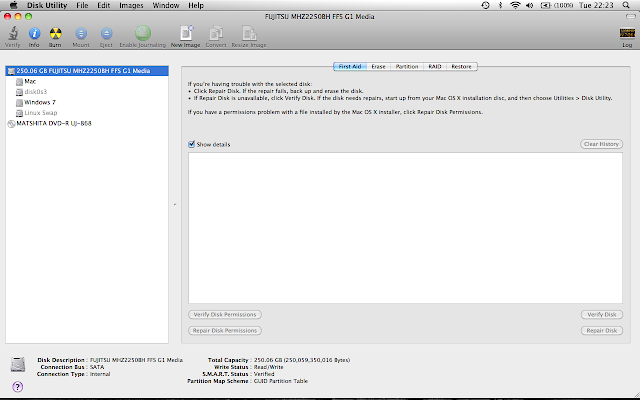 Step 5: Whilst still on Mac OSX, it is now time to download rEFIt as Mac OSX only detects Windows during startup. 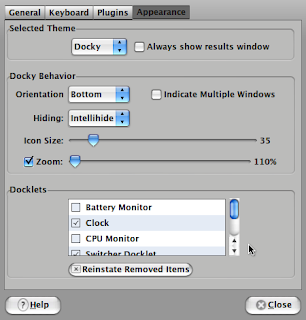 rEFIt is a boot menu and maintenance toolkit for EFI based systems like Intel Macs. It has a graphical boot menu, which detects all operating systems (including Linux and Windows) loaded on an internal hard disk. Once downloaded leave it on the system. We will come back to it later. 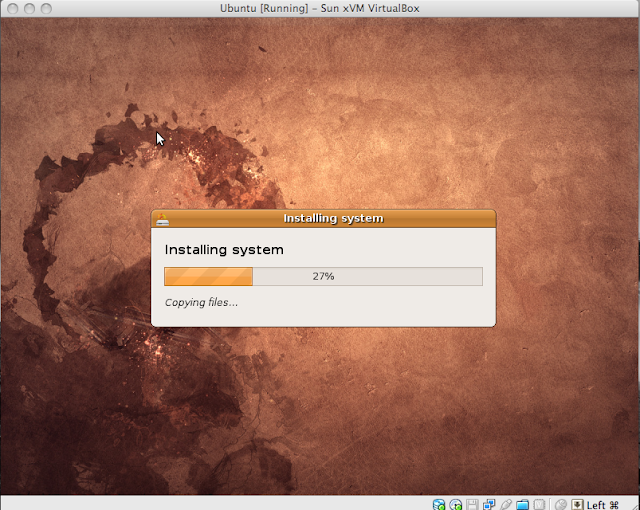 Step 6: Now is the time to download Ubuntu 9.10 (Karmic Koala) iso image file (32 bit). After downloading it burn it onto a CD-R. This is how to do it. Open Disk Utility. 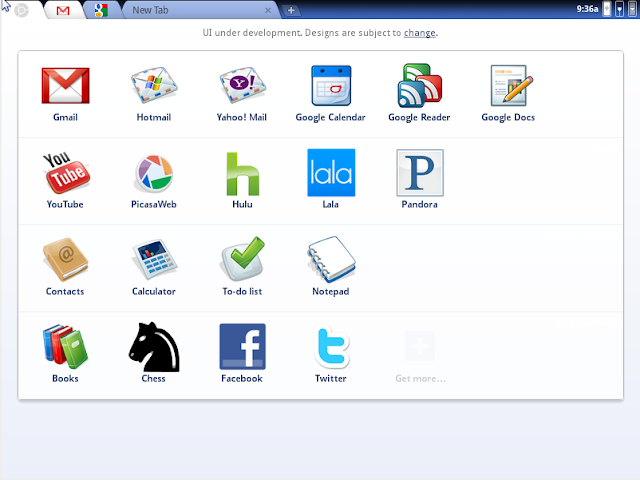 It's in the Utilities folder (/Applications/Utilities). Go to File menu and click Open Disk Image and then choose the downloaded iso image file. Insert a blank CD-R and click Burn. Follow the prompts thereafter. Once the burning is complete, leave the CD as it is. Step 7: When the Mac starts to power up click the Option Key (Alt Key) and hold it. 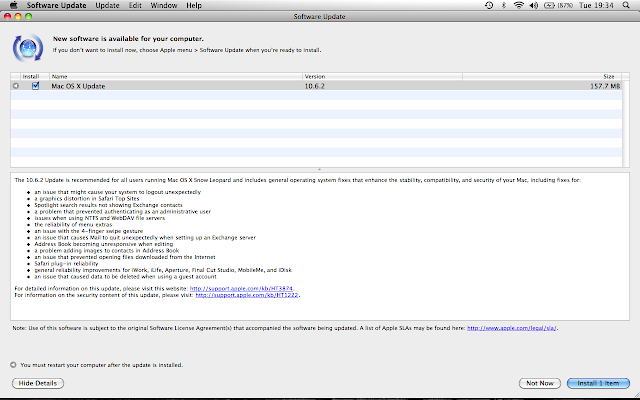 Mac OSX and Windows discs will be displayed via the Mac Bootloader. Continue holding the Alt key until the CD-R is displayed. Incidentally the CD-R will be titled Windows. It is normal that all the non-Mac discs are named Windows in Mac OSX. Once the CD-R is displayed click on it. The Ubuntu CD-R will start to load. 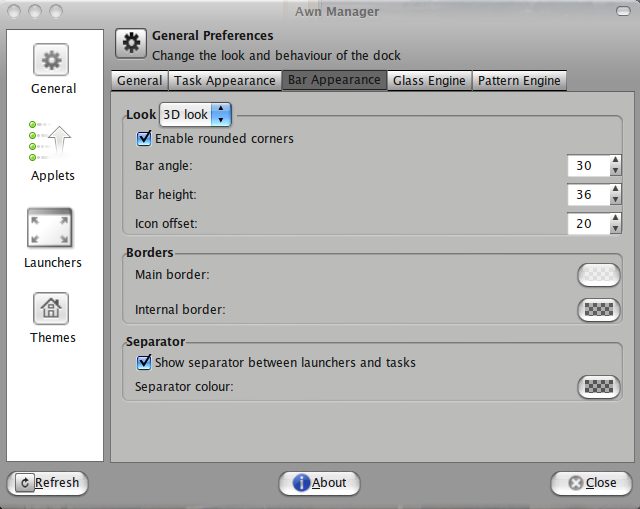 Step 8: The first screen will display five options. Choose the Install Ubuntu option. Step 9: Thereafter you will be led through a series of screens with some straight forward options, first is Language, second is Where are You? (to set your Time Zone) and the third is Keyboard Layout. Under Keyboard Layout choose the Keyboard that has got Macintosh (for example: United Kingdom - Macintosh). Step 10: Now comes the most important step in the installation process, which is to Prepare Disk Space. Choose the Manual Option. You will be presented with four partitions. Ignore the following partitions; (1) First fat32 partition (likely to be /dev/sda1) that has got Windows MBR (2) hfs+ partition (likely to be /dev/sda2) that has got Mac OSX and (3) ntfs partition (likely to be /dev/sda4) that has got Windows 7. 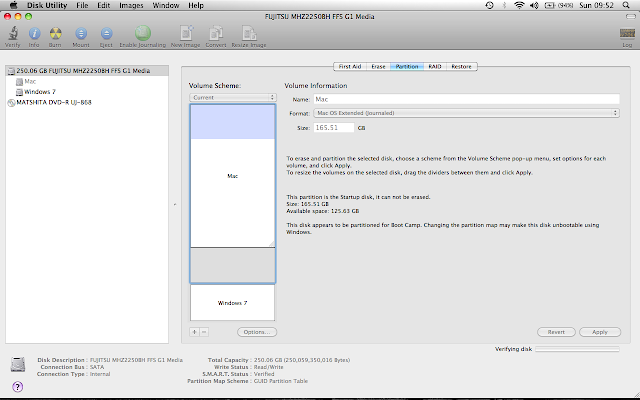 Choose the second fat32 partition (likely to be /dev/sda3) which matches the size created using the Mac's Disk Utility in Step 4. (2) New Partition Size. Give a partition size that will leave about 1 GB space for the Swap partition. (3) Location for the new partition. Select Beginning. (4) Use as to set the file system. Choose Ext4 journaling file system. (5) Mount point set to /. (2) New Partition Size. Give a partition size of 1 GB space for the Swap partition. (4) Use as to set the file system. Choose Swap. Press Forward to apply the partitioning changes. Step 13: Next screen will be Who are you? 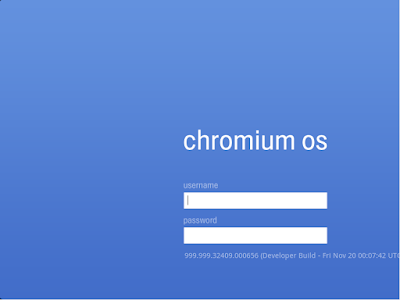 to set up your login details. Enter the details and Press Forward. Step 14: You will get the screen Ready to Install. In this screen press the Advanced tab and select Install Boot Loader to /dev/sda4 (likely location of your Ubuntu installation). Do not select (hd0). This will overwrite the Windows 7 MBR. If so refer to my earlier post on how to repair Windows 7 MBR. Come out of the Advanced screen and press Install. 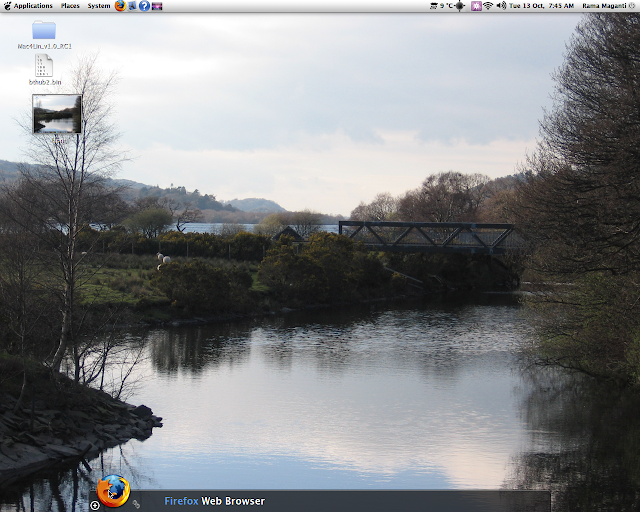 If the steps are followed as suggested you will have Ubuntu 9.10 installed on your Mac. Step 15: Now is the time to get back into Mac OSX. Go to the location where rEFIt was downloaded and install the software onto Mac OSX installation volume. Once the installation is complete, rEFIt will load on startup. 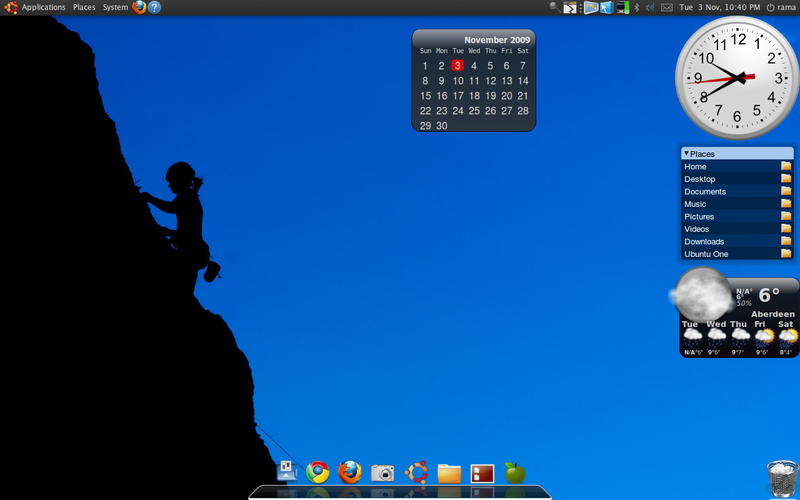 The second icon is your Ubuntu 9.10 installation. 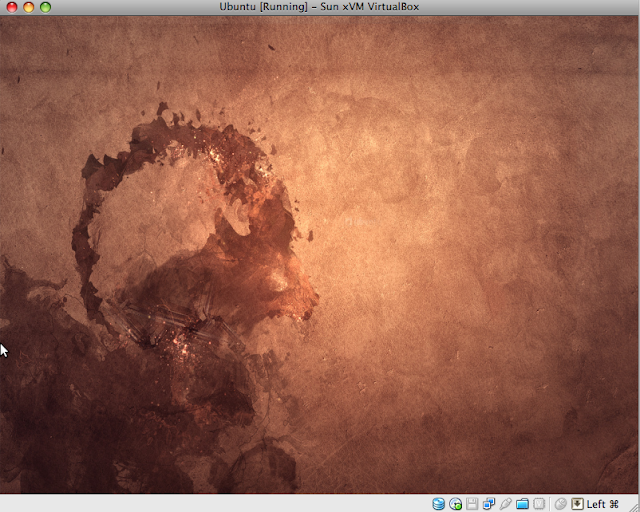 Here is the screenshot of Ubuntu on Mac. Isn't it amazing? This is how the Mac Disk Utility will look after Ubuntu installation. One final point of note. 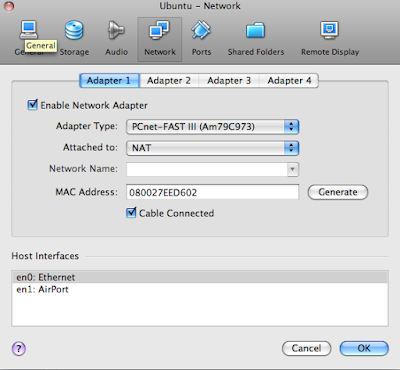 Ubuntu's Network Manager might not detect the wireless card on MacBook. To get wireless internet access, I used an USB wireless adapter (Philips SNU5600), which the Network Manager detected. 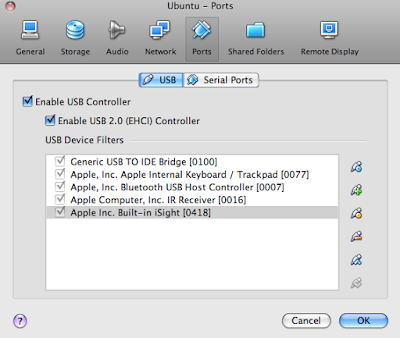 To resolve the problem I installed Wicd via Synaptic, which detects the MacBook wireless card. 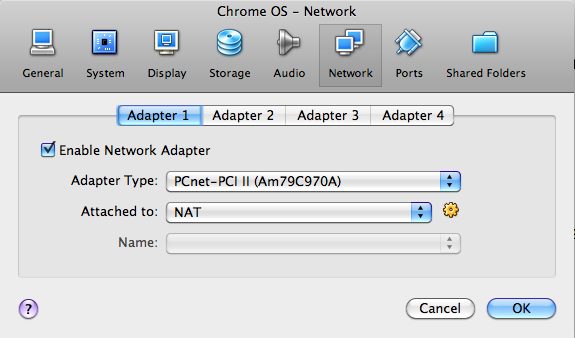 Though Wicd detected MacBook's wireless card, it didn't detect Netgear WN111 connected to my Desktop computer. I will write about Wicd's problems in another post. 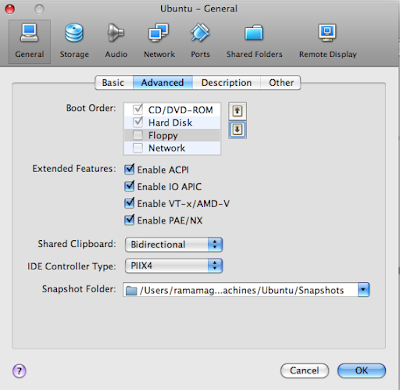 to get help on the latest Linux drivers required for Ubuntu to work effectively on a MacBook. A couple of days back, I installed Ubuntu Karmic (Ubuntu 9.10) on my MacBook to give me a triple OS boot option (which I will write about in another post). My MacBook also had Windows 7 Home Premium Edition installed previously. During the installation, I selected Ubuntu to write the Grub onto a separately created partition (formatted to FAT32) under the Advanced Installation option. Following the installation, I found that the Windows 7 MBR (Master Boot Record) was overwritten by GRUB (Grand Unified Boot Loader). As a result I got a message "Missing Operating System" when I started Windows 7. This is how to get it back. (Caution: This tutorial is only for restoring MBR on Windows 7. Do not use this tutorial if you are unsure for whatever reason). Step 1: Insert the original Windows 7 DVD. (For Mac users, press the Alt (or Option) Key and hold until you see the DVD symbol and choose it). Step 2: Choose the suitable Language, Time and Keyboard. Step 3: Press Next and choose the option Repair your Computer. Do not press Install Now. Step 4: Select the Windows 7 Installation and press Next. Step 5: You will be presented with five options; (1) Startup Repair, (2) System Restore, (3) Windows Complete PC Restore, (4) Windows Memory Diagnostic Tool and (5) Command Prompt. Select the fifth option. Step 6: You will end up at something like this X:\>Sources. Get set to enter some DOS commands. Step 7: Type the command "cd.." (without quotes). This will take you to the root directory X:\>. Step 8: Type the command "cd boot" (without quotes). This will take you to the boot directory, which should look like this X:\>boot. Step 9: Type the final command "bootsect /nt60 C:" (once again without quotes). This would have restored your MBR to its previous state. Step 10: Eject the DVD and press Ctrl-Alt-Del for PC users. For Mac users do a Hard Reset (by pressing power button and holding it until it shuts down). Your MBR would have been restored. I did this on a MacBook and it worked. Yesterday, whilst looking for some directions on Google Maps, I came across this amazing feature called Street View, which gives a street level view of things from a driver's perspective. 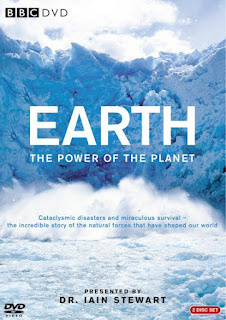 I finished watching the DVD “Earth – The Power of the Planet” presented by Dr. Iain Stewart this weekend. It took me a couple of weeks to watch the complete Two volume DVD with approximately 5 hours running time. This DVD was an attempt by Dr. Iain Stewart and his team to explain the various forces (Volcanoes, Oceans and Ice, Atmosphere and Impacts from outer space) that shaped our planet so far and how the actions of the human beings over the past few thousand years are leaving an indelible imprint on the planet’s delicate ecology. It is difficult to pick what is best in this DVD, because every section is amazing and breathtaking. However, I most liked the section that is close to my heart termed “Rare Earth”, which is about an extraordinary sequence of events that led to the shaping of the planet that we live on today. The conclusion by Dr. Iain Stewart and his team is our planet, because of its resilience, will eventually survive whatever the mankind may throw at it – but we humans may not be that fortunate. The contents of the DVD and the presentation by Dr. Iain Stewart were truly exceptional. I thoroughly enjoyed every minute of this very informative DVD. To illustrate a point on how good the DVD is - by the end of the first DVD I was so impressed with what I saw that I felt like chucking my career in Oil & Gas and go and work with Dr. Iain Stewart on whatever project he is likely to work in the future. I would rate this work by Dr. Iain Stewart and his team as “Top notch” with an outcome that is “Truly brilliant”. My advice is BUY this DVD set, if you are interested to know how our Planet was shaped over the past 4.6 billion years to its present state and how we humans are affecting its delicate ecology. If you are unable to BUY the DVD at least try and borrow it from wherever possible. Usually, whenever I run into problems with Sound on Ubuntu, I turn to the Comprehensive Sound Problem Solutions Guide on Ubuntu forums, which is very elaborate and easy to follow. Thanks to the above post, I managed to wriggle out of many a situation-which arose due to my overzealous nature of making too many changes that are difficult to track back upon. The problem is exacerbated by the presence of two sound cards on my desktop computer-one an onboard sound card and the other mounted on a PCI slot. I also found another post with its responses on HOWTO: Surround sound in Pulse Audio very useful. B. Ramalinga Raju, the poster boy of Indian IT and the most known business face from Andhra Pradesh has fallen from grace. The doyen of the Indian IT industry and the leader of Satyam Computers has admitted that he is no angel, but just a conman, cheat and a liar. The man who built Satyam Computers, which is now spread over 167 countries, across six continents and has about 55,000 employees has tarnished the image of India's IT sector forever. The ramifications of this scandal are, it might have a far reaching effect on India's economic growth. 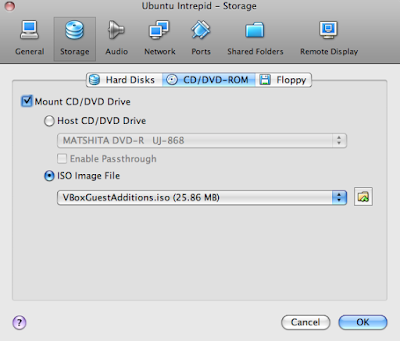 I installed Ubuntu Intrepid on my MacBook using VirtualBox. Any reason for installing Ubuntu on Mac? None whatsoever. 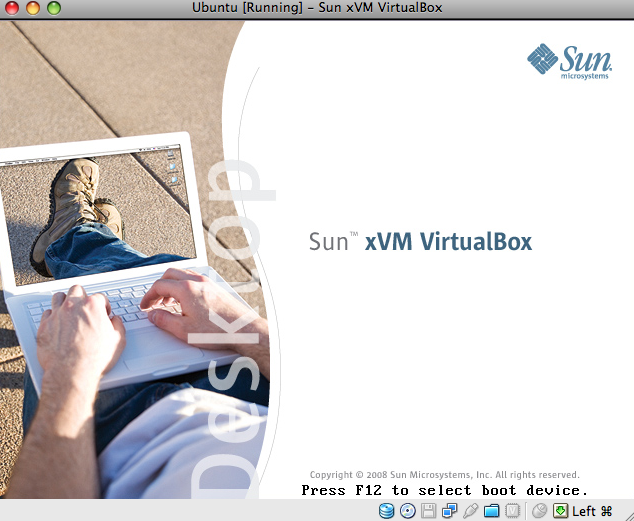 VirtualBox is a x86 virtualisation software developed by Sun Microsystems. I used VirtualBox in the past to install Windows XP on Ubuntu and I have no complaints so far. 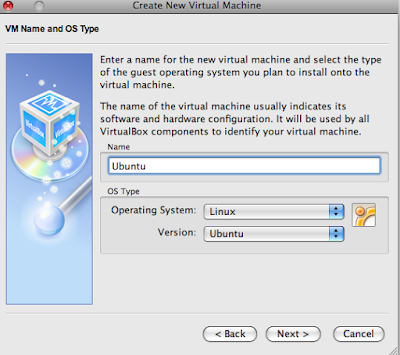 VirtualBox runs on Windows, Linux, Macintosh and OpenSolaris hosts. Moreover, it is freely available as Open Source Software under the terms of the GNU General Public License (GPL). 1. 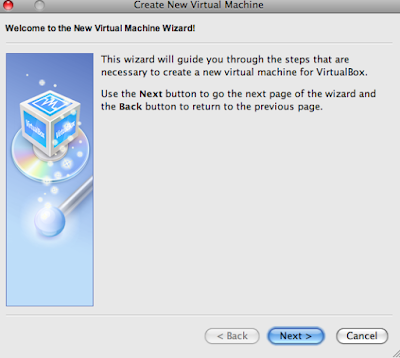 Download VirtualBox for Mac. 3. Download the image file of Ubuntu Intrepid (The link is from Canonical UK server). 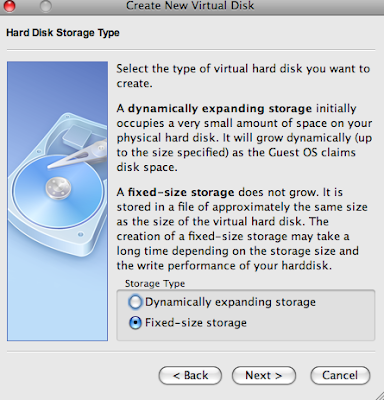 If the disk image you want to use doesn't appear in the list, drag its icon to the Disk Utility window. Select the disk image and click Burn. Insert a blank CD or DVD into your computer's disc drive and follow the prompts. 5. 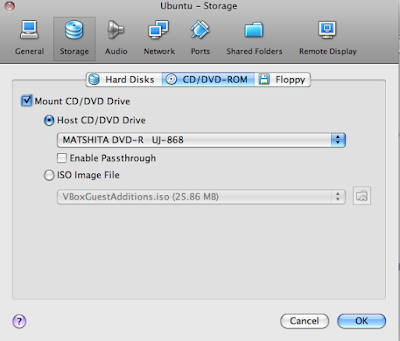 Leave the Ubuntu CD or DVD in the DVD drive. 7. Select "New" and Click "Next". 8. Name the Installation. In my case I named it as Ubuntu. 9. 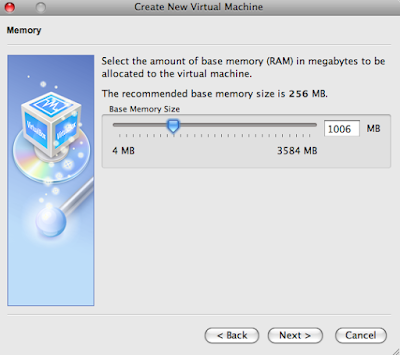 Select the Memory size. Recommended base memory is 256 MB. I chose 1 GB. Click "Next". 10. 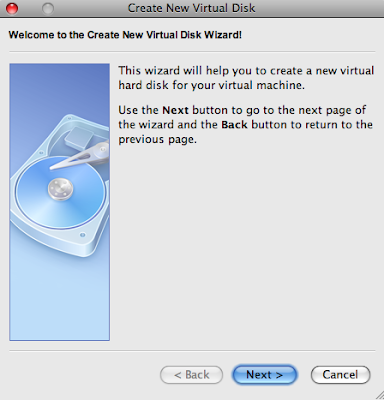 Create a new virtual hard disk. Click "Next"
11. 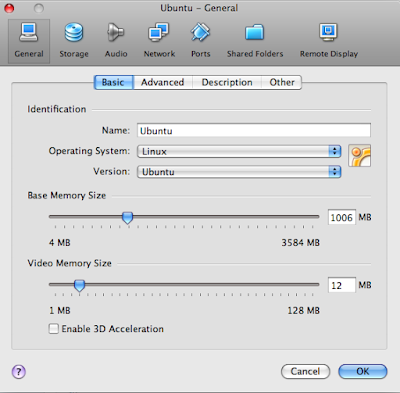 Then select storage type as Fixed assuming that one would like to limit the guest operating system size. Click "Next". 12. 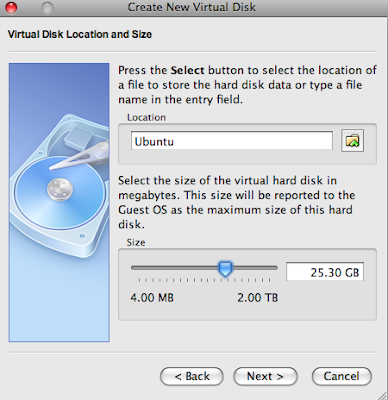 Leave the location as Ubuntu and slide the bar to 25 GB. Click "Next". 13. 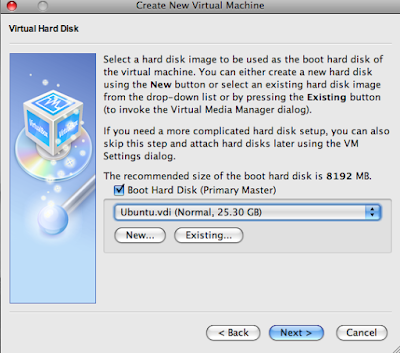 Tick the Boot Hard Disk (Primary Master), select "Ubuntu.vdi" and thereafter Click "New" and then "Next". Click "Finish". Your virtual hard disk is installed and ready for use. 14. 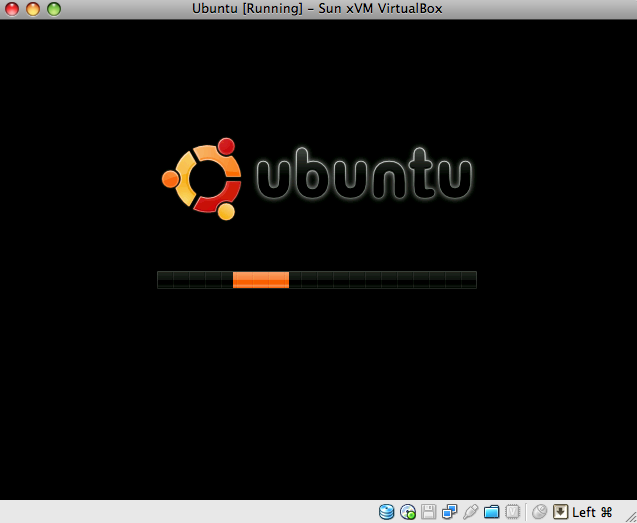 Remain within VirtualBox. 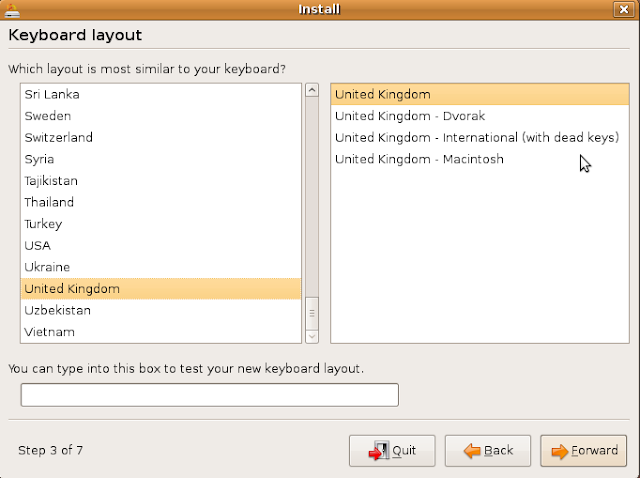 Now select “Ubuntu” and then click “Settings". 15. Under "Storage" select “CD/DVD-ROM”. 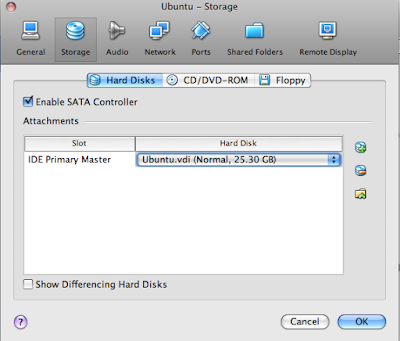 Then, check the “Mount CD/DVD Drive” and select “Host CD/DVD Drive". Then Click “OK”. 16. 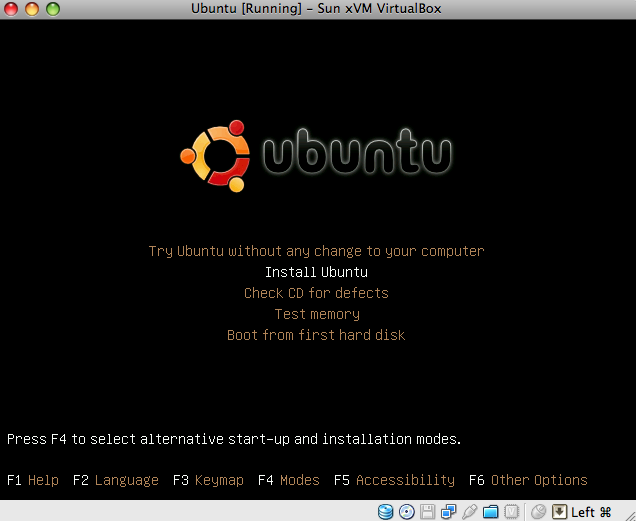 Now double-click on the virtual machine “Ubuntu”. A new window should launch. Followed by couple of other screen changes. 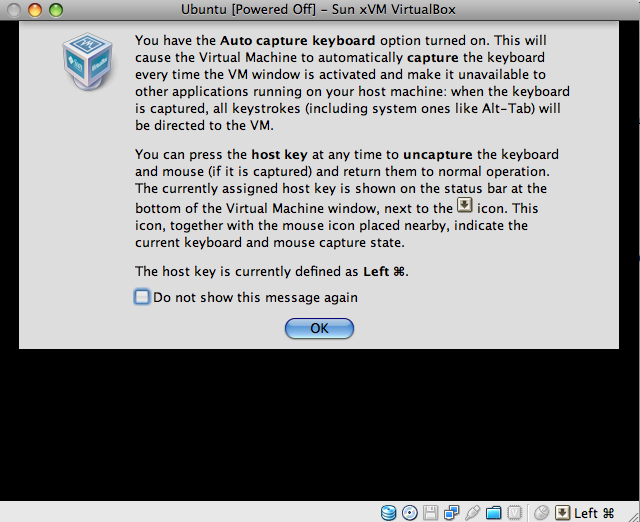 To the capture mouse within the VirtualBox window click "OK". To bring back the mouse onto Mac environment click "cmd". 18. 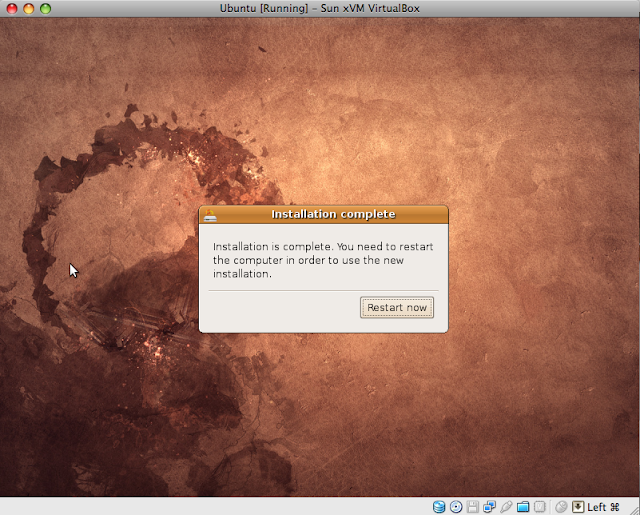 Next you get 6 steps to setup Ubuntu Installation. (i) In the Welcome screen you select the language. In my case I selected "English". Click "Forward". 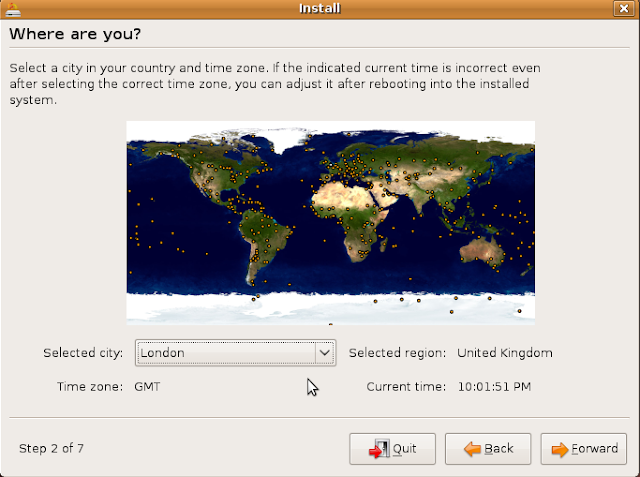 (ii) In the second screen you select your timezone. Click "Forward". (iii) In the third screen you select your Keyboard Layout. You might select "United Kingdom - MacKintosh". Click "Forward". (iv) In the fourth screen you prepare the disk space. Select "Guided". Click "Forward". (v) In the fifth screen give your details and then Click "Forward". (vi) In sixth screen you will come with something like this. This is the final screen before the installation is carried out. Just mind that before you click "Finish" select "Advanced" with regard to the location where the boot loader needs to be installed. Select the location where the ATA VBOX HARDDISK is located. You are almost there. Click "Restart now". Before you restart eject the Ubuntu Installation CD. 19. Before starting "Ubuntu" complete rest of the "Settings", which are self-explanatory. Here you select your Ubuntu hard disk. To get the full functionality of VirtualBox, like mouse integration, seamless and full screen modes of display and improved video support you need to install "VBoxGuestAdditions.iso". This would have been installed in the folder "/Applications/VirtualBox.app/Contents/MacOS"
In this screen click + button on the right to add the USB devices. 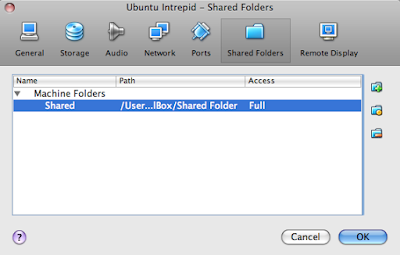 You can set up a Shared Folder, which will allow you to share files between Mac and Ubuntu. You are now done with the Ubuntu Installation. Only the installation of the Guest Additions needs to be done. For that Start Ubuntu. VboxGuestAdditions will have now been installed. Before you restart Ubuntu you need to do one last thing. Save, exit the editor and log out. You can now enable full screen display on Ubuntu Virtual Machine in Mac and also have a mouse pointer integration. Good luck! with your installation.